The professionals at Service Plus Heating, Cooling & Plumbing have been providing Indiana residents with top-class service and HVAC tune-ups for years. Each member of our team is certified and licensed, carrying all of the tools and knowledge needed to ensure your heat pump system is gets the proper maintenance it needs. When it’s time for your bi-annual heat pump maintenance, you can count on Service Plus! Contact us online today or give us a call at 317-434-2627 to set a date for your service! The team at Service Plus offers complete, total care solution for your heat pump system. We provide comprehensive solutions, built upon our years of expert training and experience, that ensure you’ll get optimal heating and cooling all year long. Thorough heat pump cleaning services. Your heat pump system is constantly exposed to dirt, grime, and debris that can reduce efficiency, lower air quality, and can even result in an untimely heat pump replacement. Our experts will completely clean your system of all debris, including a professional coil and condenser cleaning. Diagnostics and part checks. Our team will take the time to thoroughly and carefully check all moving and stationary parts. We check for proper function, serviceability, quality, and overall wear so that we can catch problems early, saving you the stress of a heat pump breakdown. Complete checks of all electronics and connections. Poorly calibrated or worn out electrical parts like the thermostat can lead to a really uncomfortable home, and far lower efficiency. Our experts will check all electrical components for accurate readings and proper system calibration. Refrigerant checks. Our team is very careful to monitor and check the refrigerant level in your Indianapolis heat pump. If we determine that there’s a leak, or an insufficient amount of refrigerant in your system, we can remedy the issue right away! You need heat pump maintenance for the same reason you would get an oil change or tire rotation. Major machinery sees tons of use, and over time this use will take its toll, lowering the operation efficiency of your heat pump drastically. Professional maintenance ensures you get top performance and quality comfort control from your system, and it even provides additional benefits to boot. 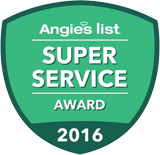 Your neighbors have been trusting the certified professionals at Service Plus for leading solutions and care for decades. Our team always puts your needs first, and our maintenance service experts can ensure you get the comfort you deserve. Contact us online to schedule your service, or to learn more about our maintenance for heat pump systems! For more information on our heat pump maintenance services in Fishers, Indianapolis, and surrounding areas, give us a call at 317-434-2627 or contact us online.